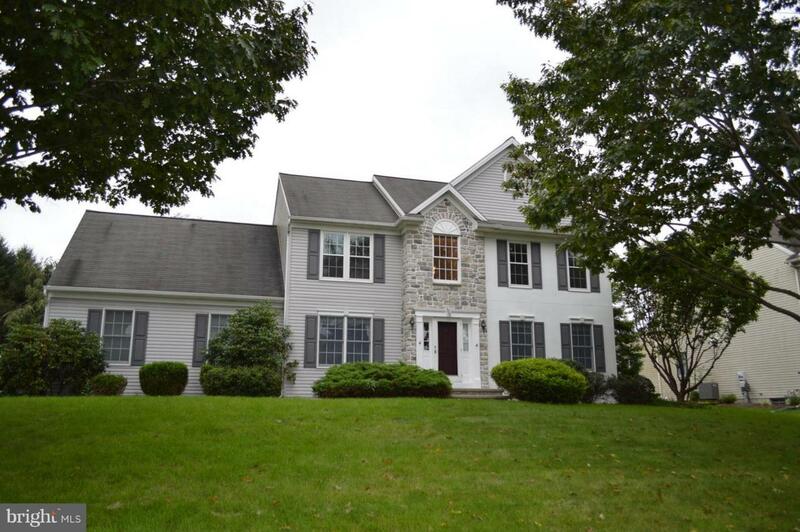 This 4 bedroom, 2.5 bath Colonial is located in a picturesque neighborhood, conveniently located near Manheim Township School District, shopping, and entertainment, and is move in ready. As you enter into the welcoming 2-story foyer you will notice an open floor plan that allows for easy access and flow from room to room. The eat-in kitchen is welcoming with stainless steel appliances, abundant counter space, and access to the amazing backyard with patio. Adjacent to the kitchen is a family room with vaulted ceiling and a ceiling fan. On one side of the foyer is the formal dining room while on the other side overlooking the front yard is a sitting area with sleek and intricate designs throughout that continue into the family room. Also on the main floor is a powder room and full laundry room. The upper floor hosts 4 bedrooms and 2 full baths. A spacious owner's suite contains an oversized walk-in closet and has its own private bath with double vanities and a walk-in stall shower. The lower level could be used as a game room, a play room, or even a workout area; plus it has lots of room for storage. The exterior of the property contains an attached 2-car garage, large backyard with a patio and shed, and pristine landscaping.